Home / Giveaway / NYC Event / Play Fair / Play Fair 2017 / Toys / PLAY FAIR 2017 GIVEAWAY!! The Second Annual Play Fair is coming to NYC and you don't want to miss it! Last year I missed out on Play Fair due to a broken toe and looking at all th pictures that were shared on social media made me feel even sadder. But this year the kids and I will be heading to what is the best and ultimate play experience for the entire family. Play Fair involves two days of non-stop interactive activities for fans of all ages. Adults will love being able to relive there childhood and making fun family memories. What exactly is Play Fair you ask? It is a public celebration of play and entertainment for all ages, it brings new and beloved toy and pop culture brands together under one same roof for two fun filled days open to families, fans and media. 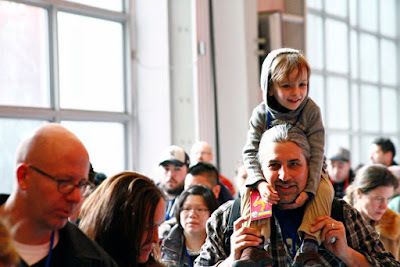 Everyone will love the hands-on exhibits and demonstrations, amazing displays, talent appearances, the dozens of toy and entertainment brands, and never-before-seen exclusives. What's even greater news is that all attendees get a chance to vote for the finalists of the Toy Associations 2018 Toy Of The (TOTY) Awards. This is definitely a great way for families to spend a weekend in the city. 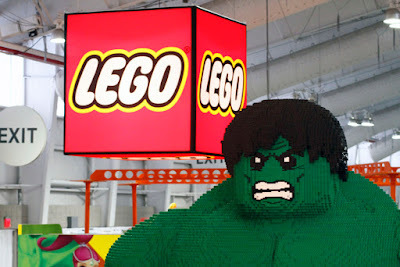 Kids and adults will love checking out the more than 40 exhibitors which include the Cartoon Network, Hasbro, Just Play, K'NEX. 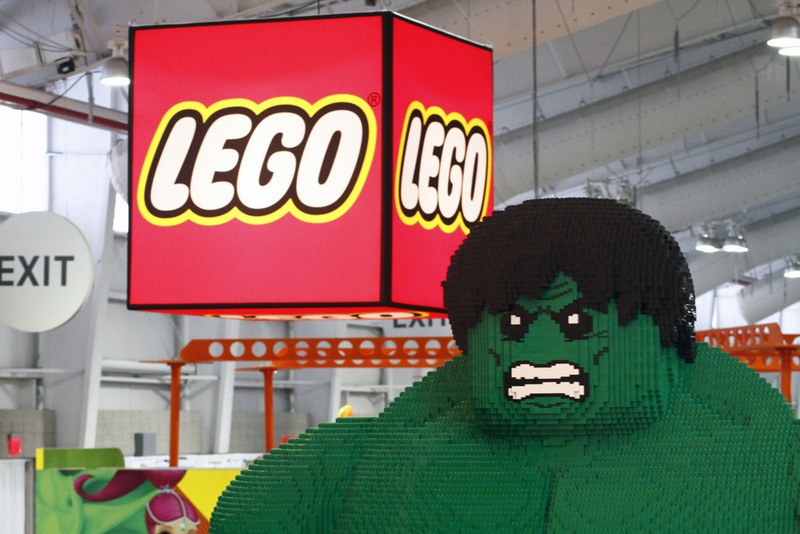 LEGO, Midtown Comics, Moose Toys, Spin Master and more. More information can be found at www.playfairny.com/special-features. 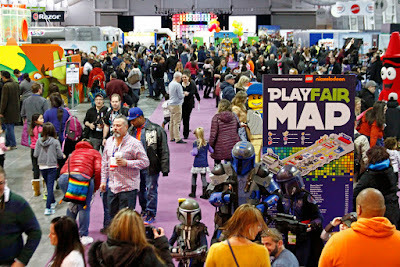 Larger-than-life play experiences and stage activities including a MineCraft VR station, ALEX® SPA, LEGO races, a NERF Arena, an augmented reality Ben 10 experience, a Guinness Book of World Record to break the largest slime creation challenge with Maddie Rae, Builder demos with Magformers, live product unboxings, Shopkins fashion shows and more! Exciting photo opportunities with talent and costume characters from PAW Patrol®, Rusty Rivets, Toys “R” Us’ Geoffrey, Ben 10, Teenage Mutant Ninja Turtles, Peppa Pig, SpongeBob SquarePants, Leapfrog’s Scout & Violet, Shopkins, and more! Top 2017 holiday toys from drones and blasters to the best in kids’ crafts, collectibles, coding and more! Interview opportunities with representatives from more than 40 family entertainment & play companies, executives, and industry experts from The Toy Association. Interactive Exhibits – Enter the worlds of your favorite toys and games with hands-on exhibits fostering team-work, discovery, and play. Museum Quality Displays – Glimpse vintage toys, rare variants, and mock-ups of upcoming toys to learn about the past, present, and future of some of America’s favorite toys and games. Toy Unboxing – Be the first to see some of the biggest toys of the holidays. 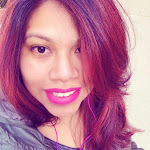 Celebrity Guests – Meet Mindy Thomas, co-host of NPR’s “Wow in the World”, the New York Knicks, the New York Rangers, Toy Designers, and more! Show Exclusives – Score limited edition toys only available at Play Fair! You’ll want to set aside some space in your toy chest or shelf for exclusives you won’t find anywhere else. And a Race Around NYC – Take your Play Fair badge to dozens of shops, museums, restaurants, and landmarks to get discounts, goodies, and freebies all weekend long. We are definitely looking forward to the fun photo ops that will be available they will make for fun memories. Of course the kids are also excited about being able to get their hands on some of the latest products. Now for some exciting news. If you haven't purchased your tickets to Play Fair yet, don't worry you still can but hurry up before they sell out. But I am also giving away 2 tickets to Play Fair to one C'est La Vie Reader. The winner will receive two comp codes that can be entered at www.PalyFair.com at checkout to retrieve their free tickets. Stop by my Instagram @Runchiquitarun and find the Play Fair Giveaway Picture. Comment with what, from reading above you are looking forward to the most from Play Fair? The winner will have 24 hours to respond or another winner will be picked. 1 comment on "PLAY FAIR 2017 GIVEAWAY!!"